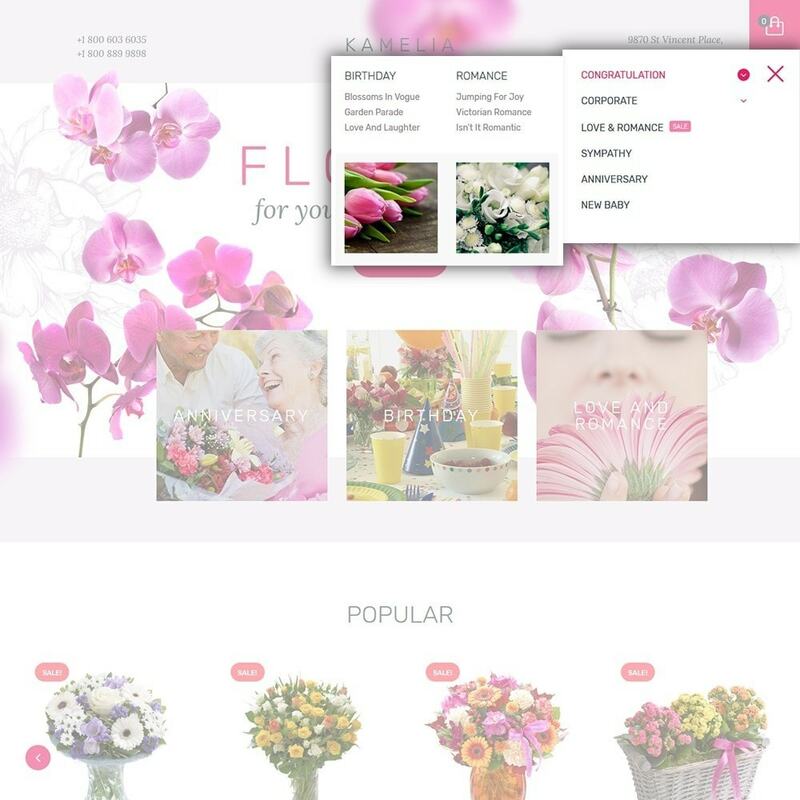 All business owners want their projects to run beyond expectations. 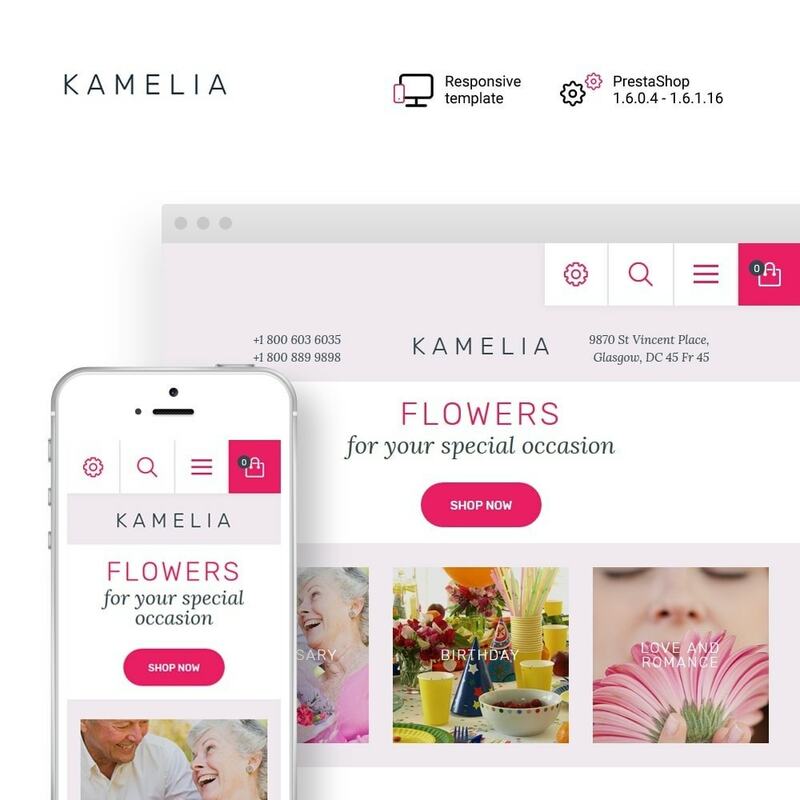 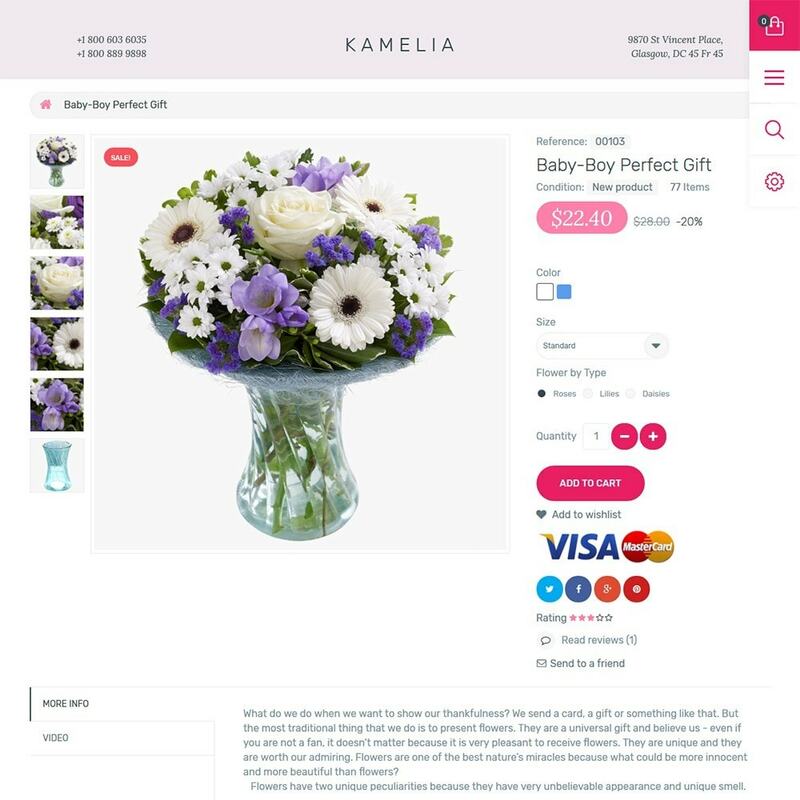 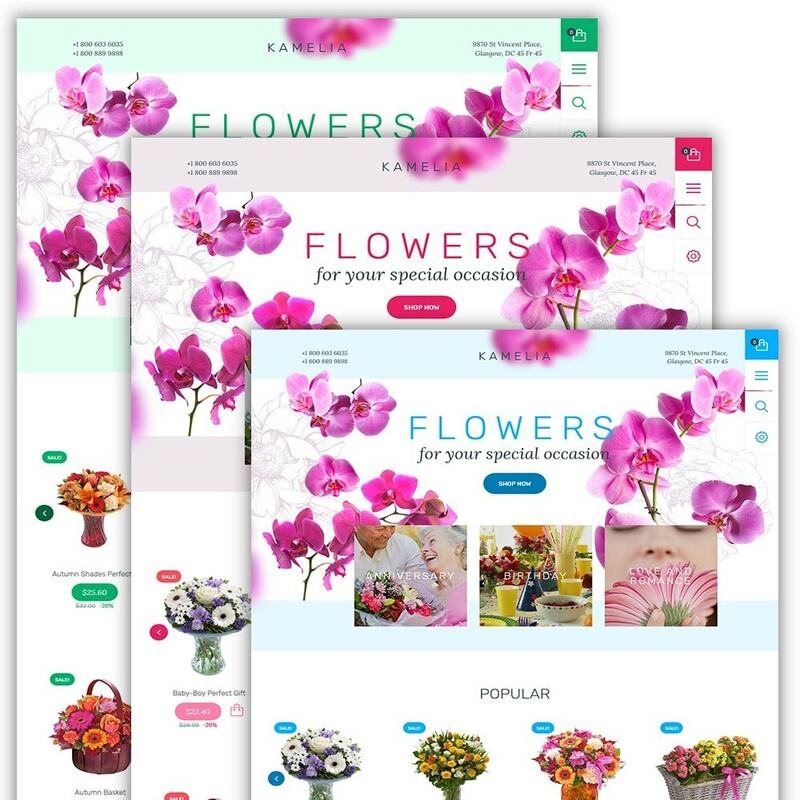 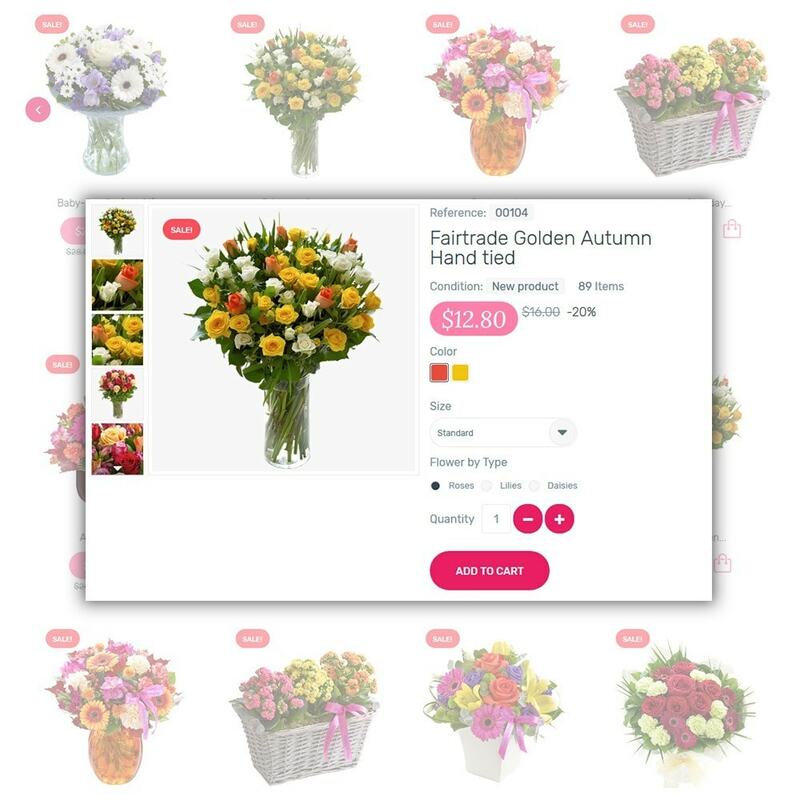 With the help of this Flowers PrestaShop Theme your web store will grow successfully. 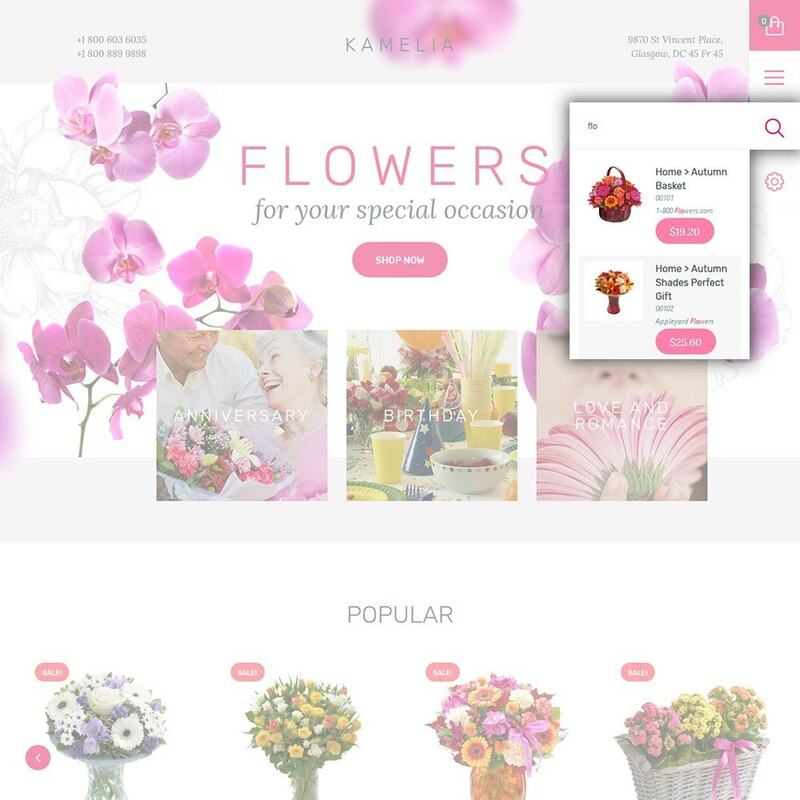 Built in the pleasant to the eye color scheme, the layout reveals the mood of joy and happiness.